Croplands Annovi Reverberi (AR) oil backed positive displacement diaphragm pumps feature chemical resistant diaphragms and corrosion resistant bodies to produce a tough, reliable pump. High, medium or low pressure pumps are available as are a wide range of options such as drive type, controllers and mountings. 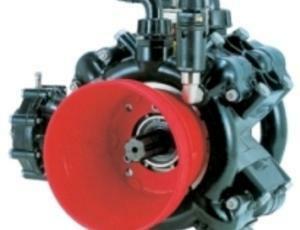 AR pumps are ideal for agricultural and commercial spraying. Croplands has been building sprayers since 1972. After operating for 40 years in the Australian and New Zealand environments we understand what the pressing problems are; before, during and after application. Our sprayers are built accordingly. We listen to farmers and produce cost effective solutions to suit their needs.